Meoded and our team of faux finish experts offer years of knowledge in the manufacture and application of decorative paints and plasters. From rustic “European old world” finishes to, modern contemporary looks, our full line of faux finish products offer a wide variety of options to please any type of aesthetic. 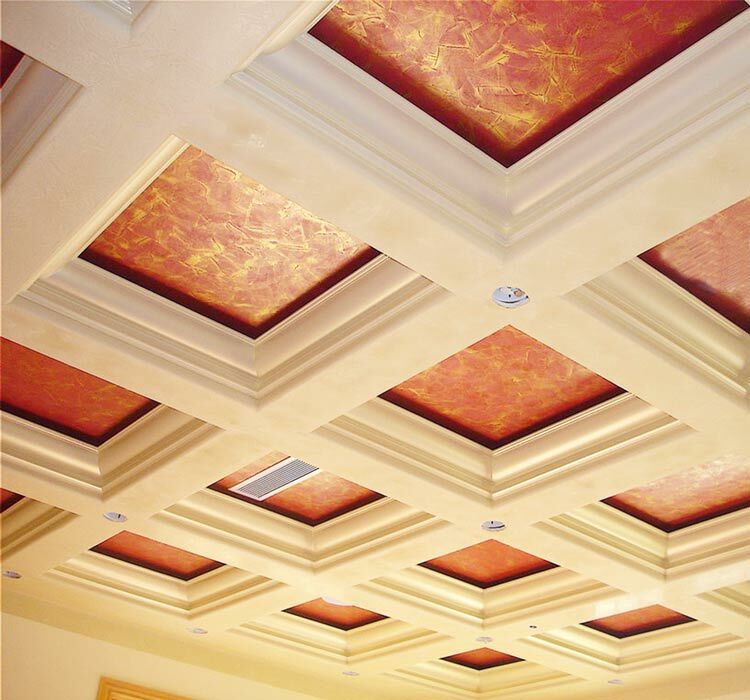 The inspiration for our products comes from classical European traditions, inspired by architecture, art, and design. Elegant and dramatic wall finishes are easily accomplished with Meoded paints and plasters. 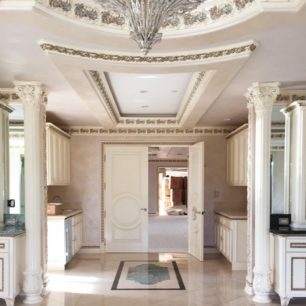 We pay homage to the ancient composition of Venetian plaster and its ability to withstand the test of time and provide unique one of a kind wall finishes. All Meoded decorative and faux finish products are made in-house under strict low VOC guidelines because we care about the environment and health of our customers. Being eco-friendly means sticking to formulas composed mostly of natural materials that are safe for living spaces and the environment without harmful side effects. Meoded is the sole manufacturer of authentic lime based low VOC plaster along with a full line of decorative metallic, glitter and suede paints. Manufacturing our own products in-house gives us the means to experiment with new products that offer vibrant colors and textures that stand the test of time. For example our lime-based Italian plasters can be mixed with additives like glitter and metallic paints. They can be sculpted to form textures that move and flow, offering a non-static dynamic to walls that standard paints cannot achieve. Our full line of decorative paints, like Sapphire Metallic, and Crystal Brush glitter paint, have the capability of transforming your walls into rich vibrant spectrums of sparkle and shine. The finish options are endless as our gallery and showroom photos demonstrate. These are just a few select finish options to choose from. Working with designers across the globe, we are constantly modifying our materials to define the elegance of our customers tastes. In addition to our lime based plasters and paints, we offer a full line of faux finish products including primers, top coatings, tools and wall coverings to help you complete your project. Whether applying with a paint brush, spray system or trowel, our decorative paint products are designed to be very user friendly. Give us a call and let us guide you with your next project. 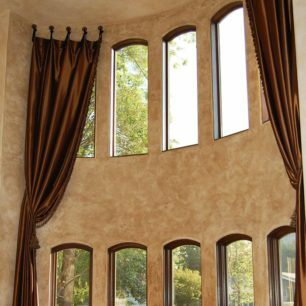 We offer superior customer service, expert color matching and project consultation to create the best finish your wall has seen! Manufacturing our own products in-house means that we are able to experiment with our ideas to create unique paint and faux finish products that stand the test of time. Making our own products gives us liberty to be creative in our approach in designing specialty paints that are sophisticated and elegant. 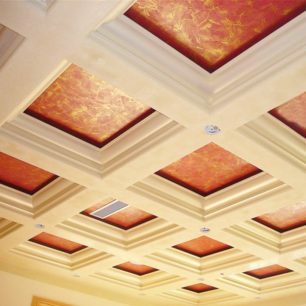 For example our lime-based Italian plaster brings a Greco-Roman elegance to your project by turning your interior and exterior walls and ceilings into a true work of art.